Mixing your own cannabis-infused cider cocktails is one way to embrace autumn, whether you’re quaffing sparkling or still, hard or virgin. Although the drink includes rum, Danzer burns off the alcohol before mixing it into the cider. This doesn’t eliminate all of it, he says, but it reduces it to about 8 percent. The process retains the rum flavor while minimizing what he calls “cross-fading,” an uncomfortable feeling that can occur from mixing cannabis with alcohol. To de-alcoholize the rum, he pours it into a pot over a low flame and brings it to a low rolling boil uncovered. About 5 minutes should work. Rabib Rafiq, owner of Bistro 63 at the Monkey Bar in Amherst, Massachusetts, prefers to use dry hard cider in cocktails, because it contributes a fresh apple flavor without the intense sweetness. Rafiq, who created recipes for “The Cannabis Kitchen Cookbook,” by Robyn Griggs Lawrence, reaches for pure alcohol tinctures and infused simple syrup for adding cannabis to cocktails at home. 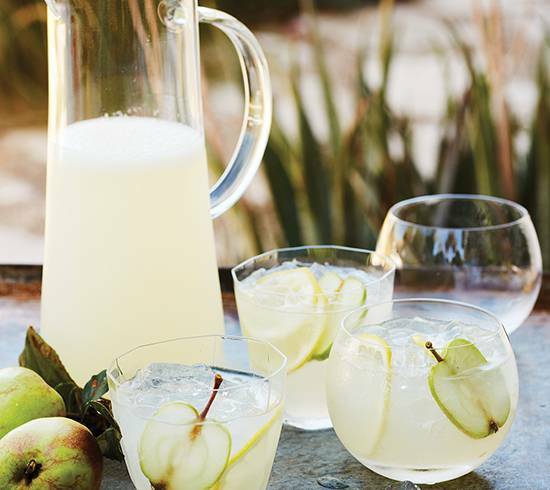 For Sparkling Apple Punch recipe, tap here.